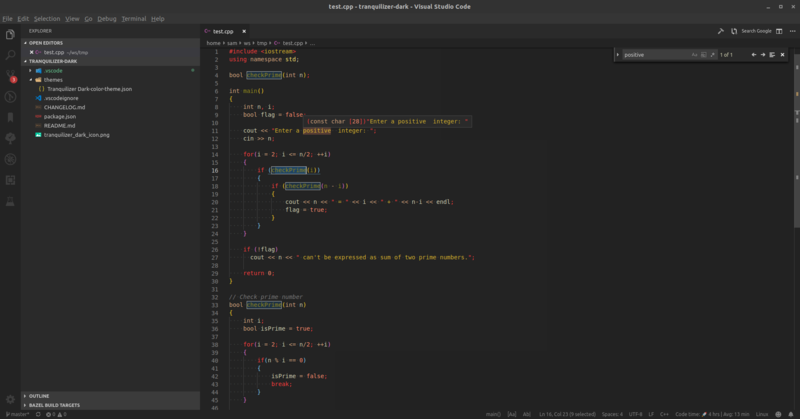 Visual Studio Code>Themes>Tranquilizer DarkNew to Visual Studio Code? Get it now. This is an initial release, if you face any problems or have suggestions, please open an issue or email it to me eng.a7med.sam@gmail.com.